Design something creative and unique today using Venngage's vintage business presentation template! 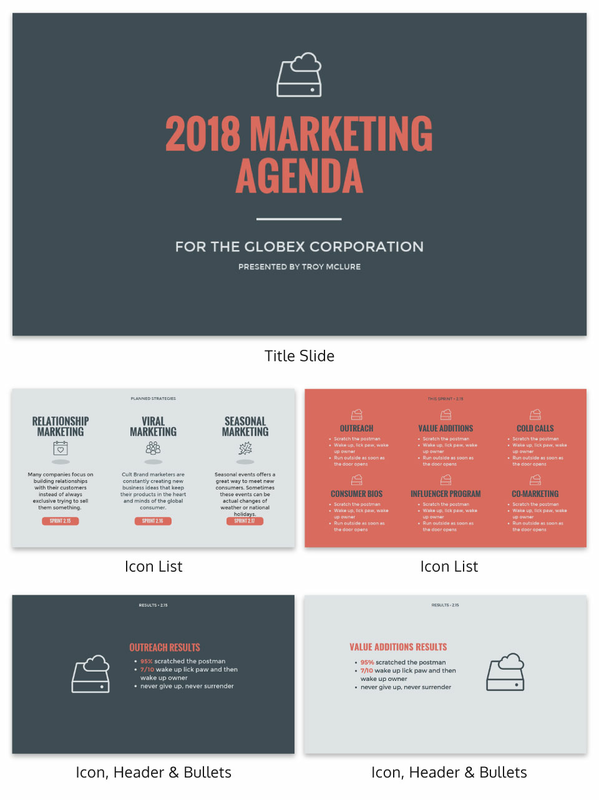 Whether you’re speaking about SEO or delivering a presentation on your marketing strategy, this Vintage Business Presentation template has you covered! You can present anything business related when you edit this basic Vintage Business Presentation template. It’s fully customizable and can be edited within a matter of minutes that’s how easy it is! The Vintage Business Presentation lets you add charts, tables, graphs, bullet lists, icons, and images as well as uploading your own photos. In addition to changing the text, you can also modify the font style and change the color scheme and make it different for each slide. The possibilities are endless with the Vintage Business Presentation!